With about a month left in Tanzania, we came to the realization that our time was running out, and if we wanted to see more of the country, we had to act fast. 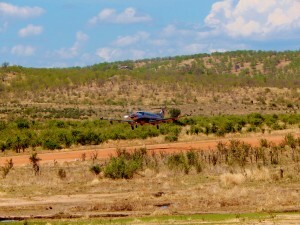 Another volunteer had recommended last minute safaris you could book with Coastal Aviation. 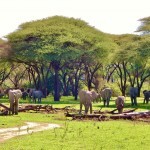 A few days later, we were all booked for a trip to Ruaha National Park. Ruaha is the largest national park in Tanzania, and is home to all of the major animals except for the rhino. Surprisingly, it’s also really empty. Most tourists flock to closer or more well known parks in Tanzania, such as Selous, Kilimanjaro, Ngorongoro Crater, or Serengeti NP. 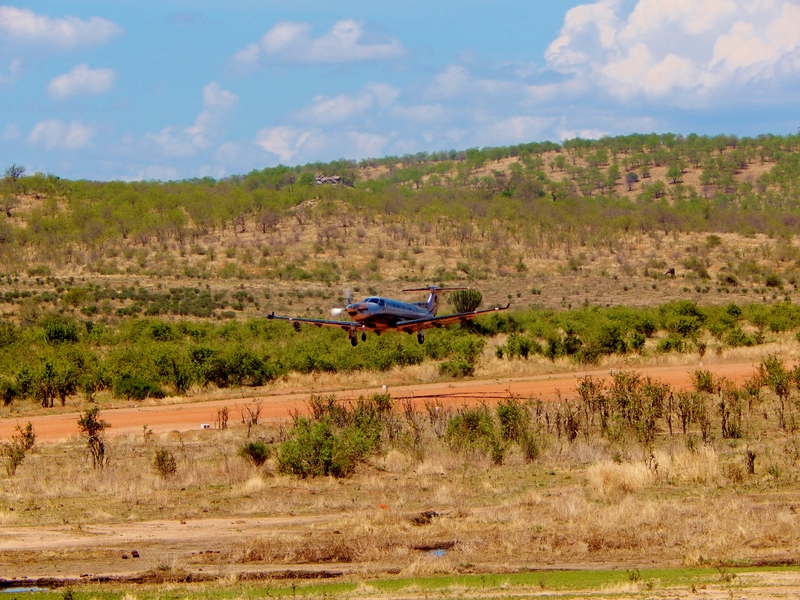 We boarded our flight, another 8-seater plane, and flew the 2 hours to Ruaha. While we didn’t get the dirt runway on Mafia Island, we definitely did here! The airport was really just two buildings: the national park headquarters and a bathroom. After getting checked in, our safari driver picked us up and we hit the ground running (literally). 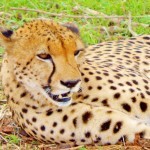 Not more than an hour off the plane, we got a radio call about the cheetah. We were in Ruaha at the start of the rainy season, so the river in the park was muddy, and the only bridge to the cheetah side was 20 minutes away. So our driver made the call to try and ford the river! We made it a good 15 feet before our wheels started spinning. Instead of making us wait to dig the car out, they sent us across the mud to the other cars, who then took us to the cheetah resting under a tree. 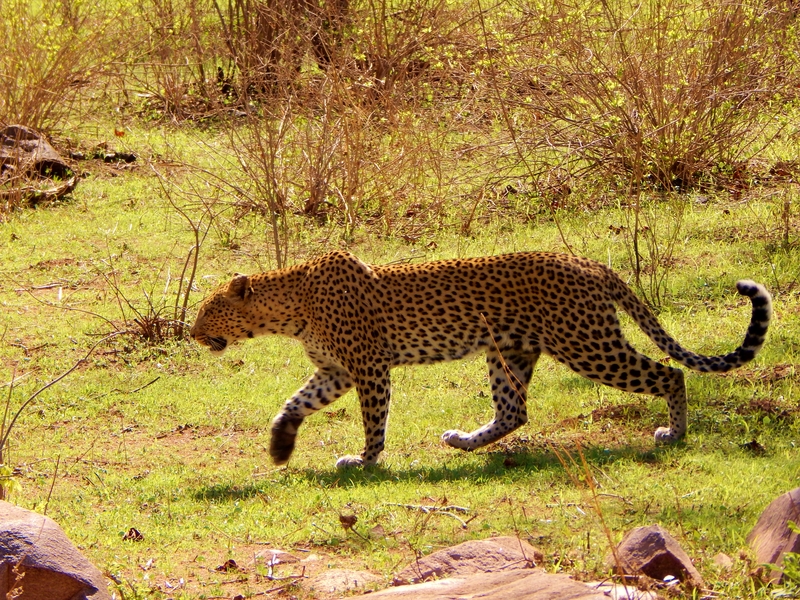 A few minutes later the cheetah spotted some deer and started stalking. While he didn’t end up attacking the deer, it was still a great start to our safari! 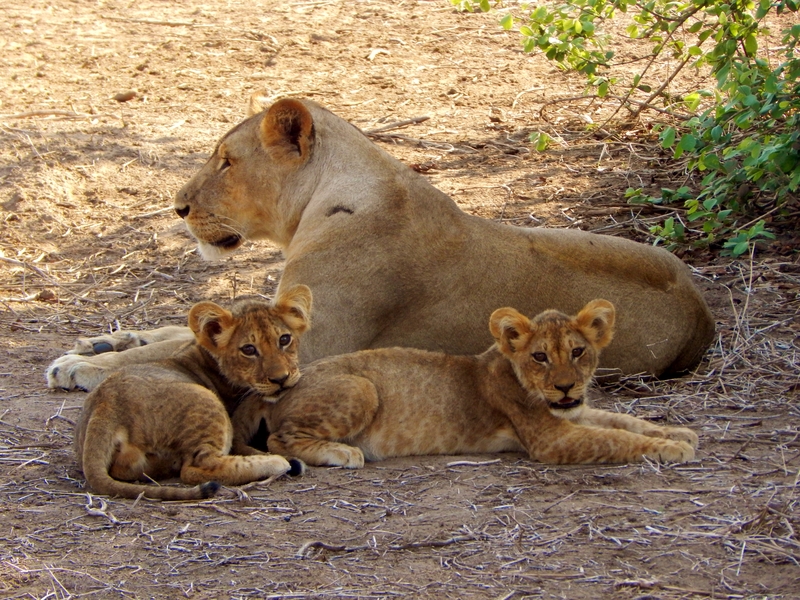 Maybe there’s more lions, maybe it’s less busy, or maybe our drivers were more adventurous, but we had at least three opportunities to drive up right next to lion families. Initially, we thought this would be terrifying. Except the lions didn’t care! As it turns out, lions can’t see all that well, and all they see (as long as we weren’t moving) is a really big car. 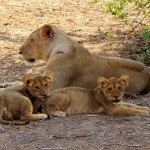 The best part was on our last day, we pulled up to a family with three lion cubs that were just adorable. We saw quite a few elephants on both safaris, including ones that charged our car and baby elephants that could barely stand. Elephants are majestic creatures, and until you see one moving around in the wild it’s hard to appreciate their size and strength. On our long day, we set out for the river, which was several hours away from camp. We rounded the corner and came across a group of hundreds of elephants, male and female, young and old. Our guide told us that since it had just rained, this was a family reunion of sorts, and they had all gotten together after wandering in smaller herds during the dry season. It was an indescribable experience that we will never forget. 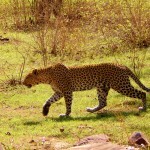 We saw most everything on the first two days, but we had yet to see a leopard. Since all we had was a 2 hour drive back to the airport, our chances were slim, but our guide took us the long way through where a leopard was last spotted. Our hopes were pretty low, and we were just chatting with our car-mates when our driver slammed on the breaks and pointed to our right. Sure enough, in the trees, he somehow spotted a leopard that was almost invisible. We stayed with him for about 30 minutes while he pranced around, crossed the road in front of us, and even rolled around in the dirt. It was a fantastic end to one of the best experiences we’ve had on our trip. You can find all our pictures on our Facebook page. The pictures were awesome. I just loved the post it was an amazing feeling watching wild life so close.